The year 2018 is undoubtedly a favorable year for all the Canada PR aspirants. There are various reasons that support this statement. Firstly, Canada is going to invite 310,000 immigrants as permanent residents this year. 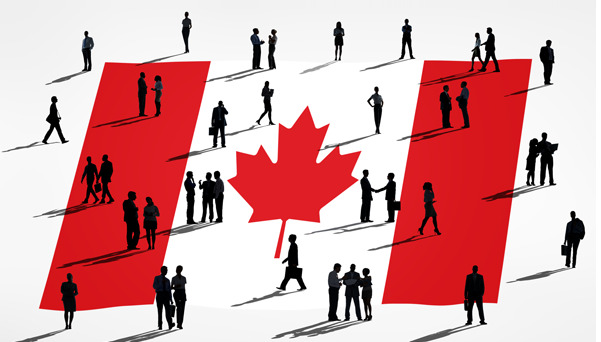 Moreover, in the past few months, Canada has offered great relaxation in its various immigration rules as well, which will tremendously benefit the Canadian PR applicants. Preparation is vital for obtaining Canada PR as there are various complex rules and procedures linked to immigration which one must adhere to for ensuring an error-free application. This helps in the smooth processing of the visa application as well as timely approval. Have you cleared the language proficiency test, i.e. IELTS with the minimum score (CLB 7)? Do you possess the Educational Credential Assessment (ECA) for your qualifications obtained outside Canada? Have you chosen the right immigration program to apply for Canada PR? Do you qualify for the Federal Skilled Worker Program (FSWP), QSWP or any PNP? Have you registered your profile in Federal Express Entry System or in a Provincial Nominee Program (PNP)? Have you checked your CRS (Comprehensive Ranking System) score for Express Entry? If your answer to most of the above-mentioned questions is ‘yes’ then you are well prepared to apply for Canada PR. However, if your answer to most of these questions is ‘no’ then you need to check your preparations and ensure completion of the above-mentioned things as early as possible. For any queries or assistance related to PR for Canada, you can get in touch with the Visa specialists at Pathway Visas.